I adore cheesecake. Love, love, love it. But sometimes I want to get all the delicious cheesecake flavor without the extra effort. Or sometimes I want to put cheesecake on something else, like pumpkin pie. Especially for those occasions, I created this easy, addictive no-bake cheesecake recipe. Unless you are using the cheesecake as a topping, you will also need a pre-prepared crust, either a pre-baked pie crust or a graham cracker crust. Method1. Whip the cream until stiff. For instructions, see How To Make Whipped Cream. Set aside. 2. Whip the cream cheese, sugar and lemon juice until fluffy. Scrape the bowl often and really whip it up. 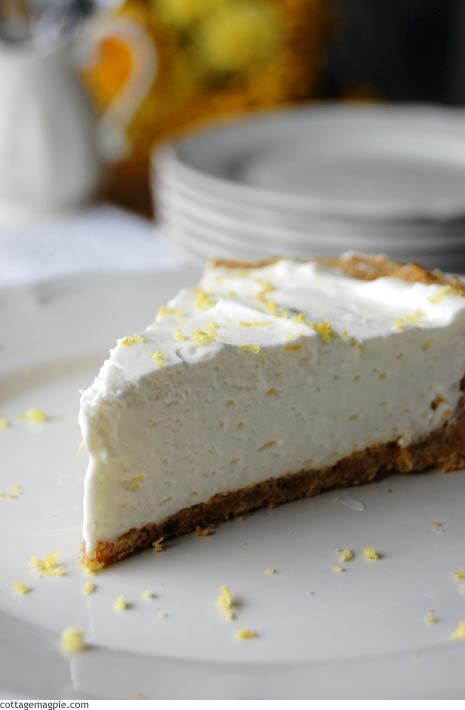 Don't skip the lemon juice, even if you're pairing the cheesecake with another flavor. It's an essential ingredient. 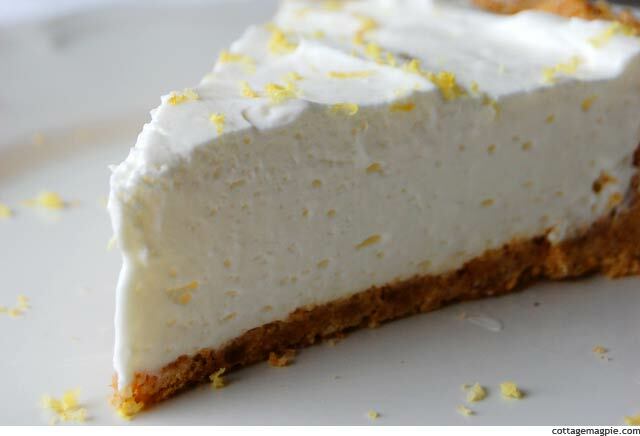 It doesn't make the cheesecake taste lemony, just gives it a depth of flavor that you need since there's no eggs or baking involved. 3. Add the whipped cream back in and whip until the whole thing is smooth, smooth, smooth. It might take a few minutes to get all the lumps out. 4. Spoon the cheesecake mixture into a pre-made crust (I recommend graham cracker) or onto another pie (like pumpkin), or just into bowls to eat like pudding. 5. Chill until firm. The cheesecake will firm up and be slice able in a couple of hours, and you'll need to store the cheescake in the fridge until it's all gone. Which shouldn't be too long!